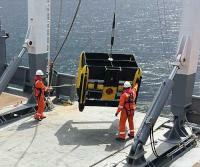 The first electricity link between the UK and Norway is to interconnect Nordic and British energy markets, the project involving among others MacArtney equipment fitted on board a multipurpose supply vessel. Successful business partnership between Geomarine, local MacArtney agent in Italy, and end user Next Geosolutions has resulted in provision of a MacArtney FOCUS 2 ROTV system to be applied in a cable route survey job. The purpose of the project is to construct the world’s longest interconnector consisting of approx 720 km of high voltage direct current (HVDC) cable to link the power grids of the United Kingdom and Norway. The giant interconnector designated NSL (North Sea Link) will link their electricity transmission systems via a subsea cable which links to a converter station and an electricity substation in each country. 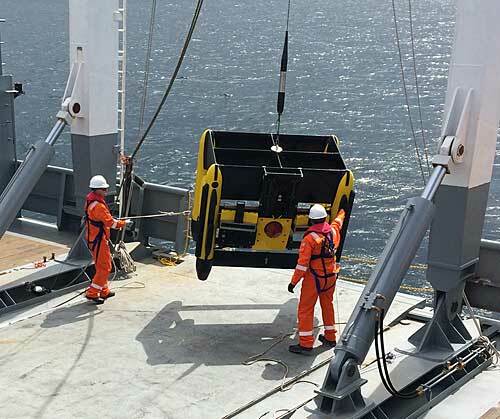 The MacArtney vehicles will deliver high-resolution data for cable route design and engineering as well as subsea asset inspections applying the extensive sensor package. All the MacArtney scope of supply comprises two FOCUS 2 extended underwater vehicles, one MERMAC S20 winch with 2,000 m of double armoured, combined electrical and fibre optic tow cable, a FOCUS 2 topside control system, an EdgeTech 2200-MP side scan sonar, an Ethernet based camera system, and an EdgeTech DW-216 sub bottom profiler. In addition, free issued dual head R2Sonic multibeam echo sounder systems, combined iXblue PHINS and TRDI DVL INS systems, Valeport sound velocity sensors, Geomatrix G-882 magnetometers in a TVG frame setup, and transponders have been integrated on to the vehicle, as well. Due to the extensive survey sensor package, the FOCUS vehicles are supplied in an “E” (extended) version which allows for more space to install equipment within the vehicle frame. In addition, the system will be delivered with the newly upgraded MacArtney ROTV flight software.